BRIGHTON, Mich. - School is right around the corner, which means a lot of preparations to get the kids ready. Between worrying about school supplies, schedules, or getting the kids on a good sleep schedule, we know that this time can get a little stressful. That's why we've put together 5 back-to-school lunchbox ideas to make things a little easier for you - instead of having one more thing to stress about, just copy our simple lunchbox ideas that the kids are sure to love. Spread the peanut butter on the wrap, layer cut-up banana on top, roll up and cut! It's that simple! We also recommend using a toothpick to keep the roll in place. 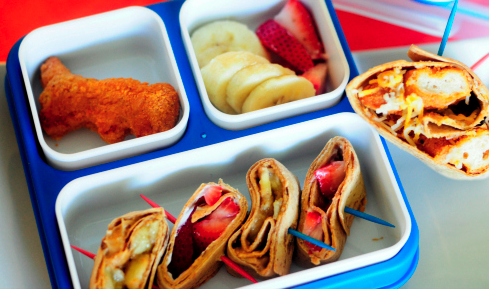 This is a great do-it-yourself lunch that allows the kids to make their own! It's very similar to a lunchable, as you just put the various toppings in a container and allow them to build their own sandwich/snack. Layer the nuggets and shredded cheese on wrap, spread ranch dressing into the fold of the wrap, then roll up. You can cut them in a similar style as the wrap above, but a full wrap works just as well. This delicious sandwich will taste more like dessert! Spread the cream cheese on the waffles, layer with cinnamon and the fruit of your choice, then put together like a sandwich. It's delicious and super easy to make! This is a great option if you have time to prepare them the night before. 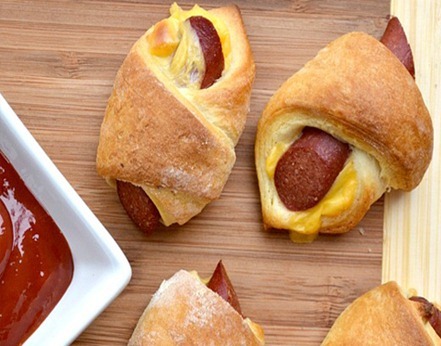 Simply wrap the turkey dogs in the crescent rolls with cheese, and cook for less than 10 minutes. They are sure to be an instant favorite! 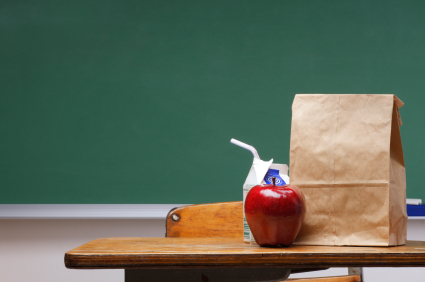 We hope these 5 back-to-school lunchbox ideas help you with packing a quick lunch that is both tasty and healthy. We love to make your life as easy as possible, and that includes helping you into a car that is reliable, affordable, and aesthetically pleasing. So stop by our Novi Area Ford Dealer today and let us make the car buying experience as stress-free as possible. We have a wide selection of New Ford Cars and Certified Preowned Cars For Sale, so you'll have no problem finding something you love.